Within the context of a city with few spaces of evasion by the filled up of buildings, the noise of the traffic, long working hours, increase in cost of the land price… we find ourselves without free of charge spaces to spend time to forget the stressful weekly routine. 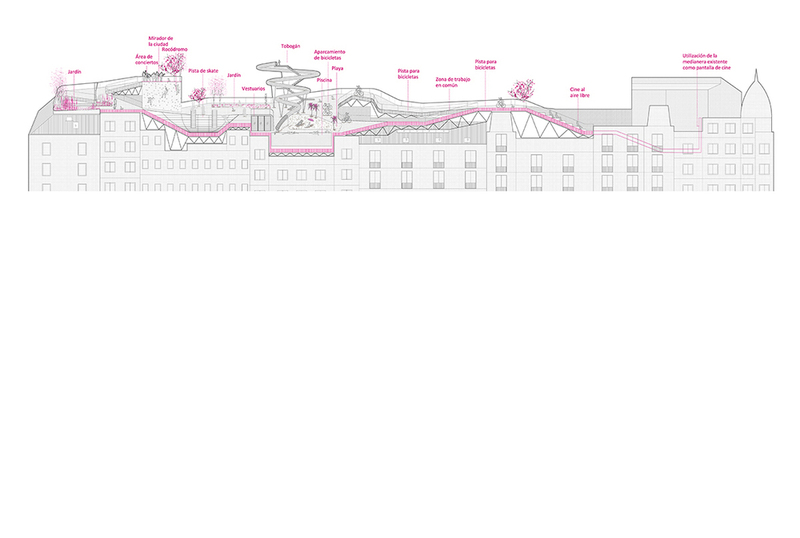 Against this absence of neutral place, the project proposes the generation of a programmatic carpet that responds to the wishes and needs of users living in the block. 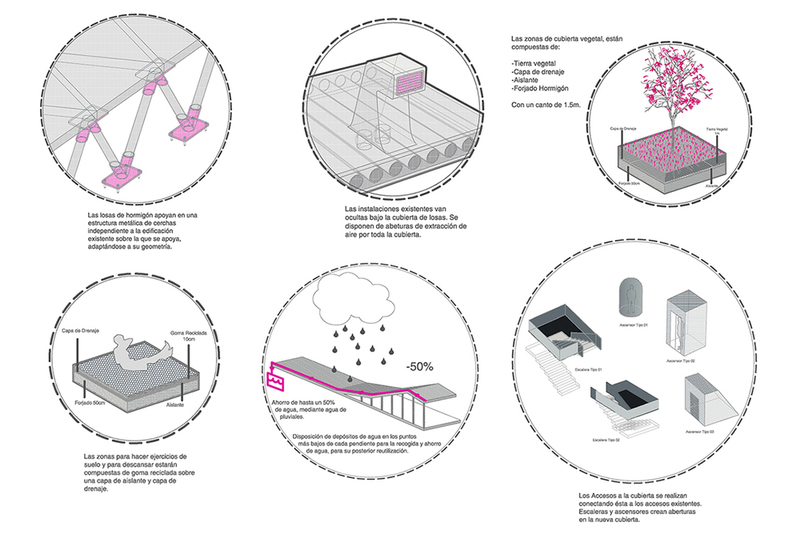 The goal of the project is the unification of roofs and decks for the maximization of the surface of use. The configuration of the program will be at the request of the inhabitants of the block. For the access it will be taken advantage of the existing ones. On the perimeter there will be a triangulated metal structure on which precast concrete panels are arranged. The materiality of the roof depends on each program. With all these ingredients, we generate free space that makes easier and brightens the life people who live under this new cover.